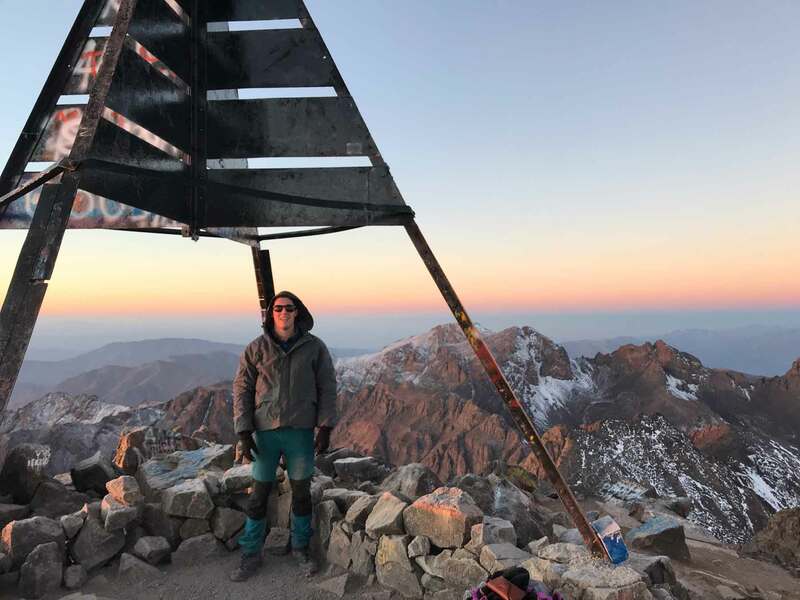 North Africa’s highest mountain is the centerpiece of that incomparable view southwards from Marrakech, often shocking with its unexpected silvering of snow, but it also holds out an easier summer ascent. All meals: breakfast, lunch and dinner. 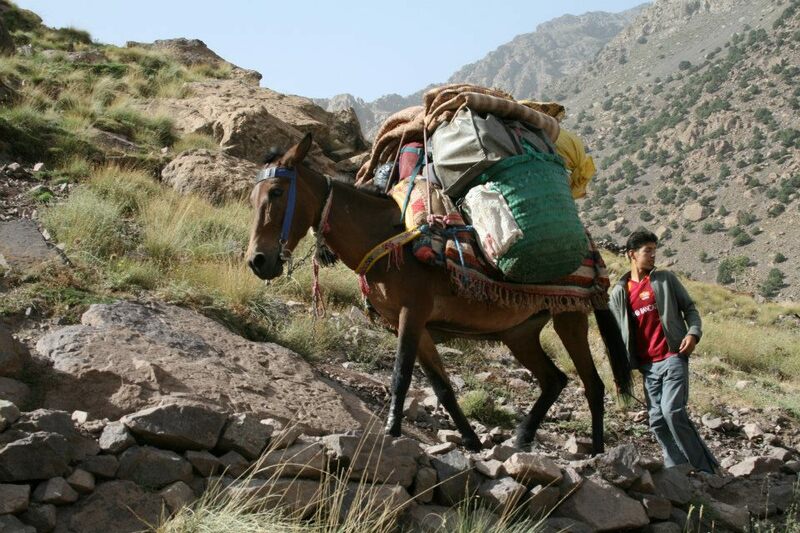 For Atlas Trekking you need to prepare as you would for walking in any mountain region; it can be warm and sunny during the day but the weather in the mountains can quickly change from sunshine to snow and cold winds (autumn through late spring). Please do not leave any rubbish behind you; carry out what you carry in. Transfer from Marrakech to Imi Ouglad village (1300m). 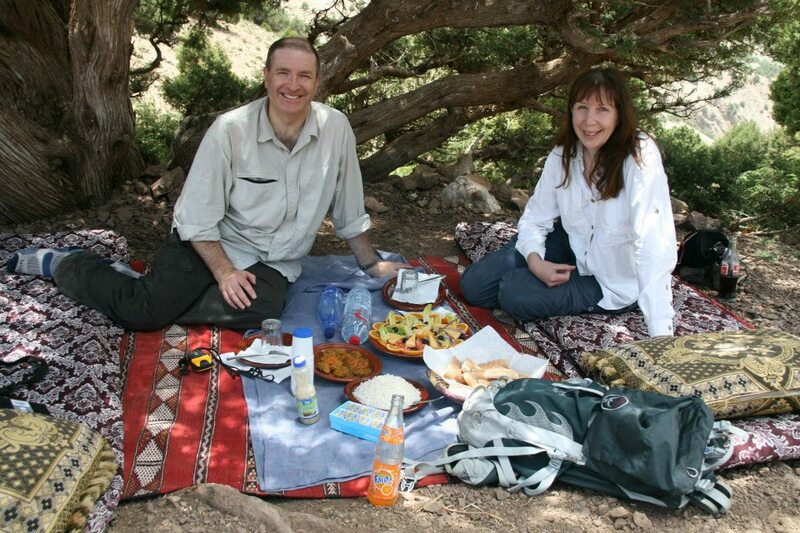 This will be about an hour and 15 min drive from Marrakech. There you will meet your mule and muleteer. 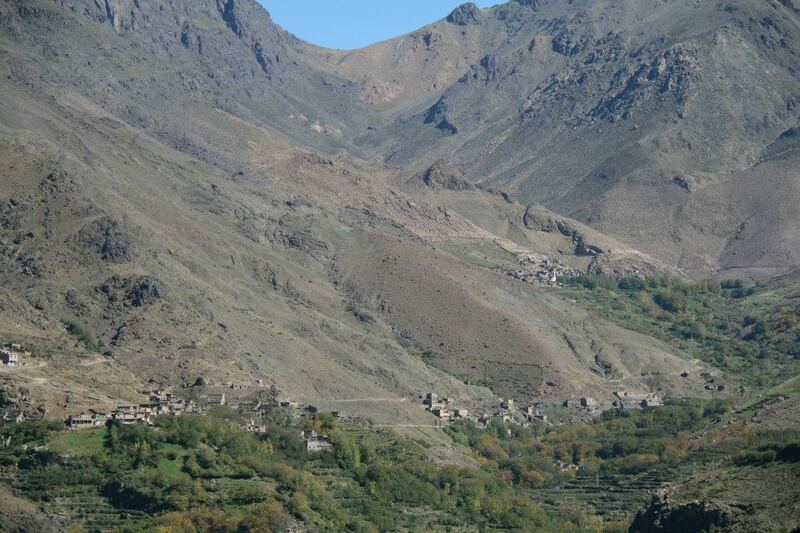 First you will walk to Tizi l’bour (1500m). Then on to Imsker village (1300m). Then you walk up to Ousertik valley. Here you will spend the night in a local village gite (2200m).Approx 5 to 6 hours walking. Today you will walk from Gliz village to Oukaimeden (premier resort of ski 2500m). Then its on to Tizi ‘n Addi (3000m) and to Tacheddirt (2300m) village where you will spend the night.Tacheddirt is the highest village in the Atlas Mountains. Approx 5 hours walking. 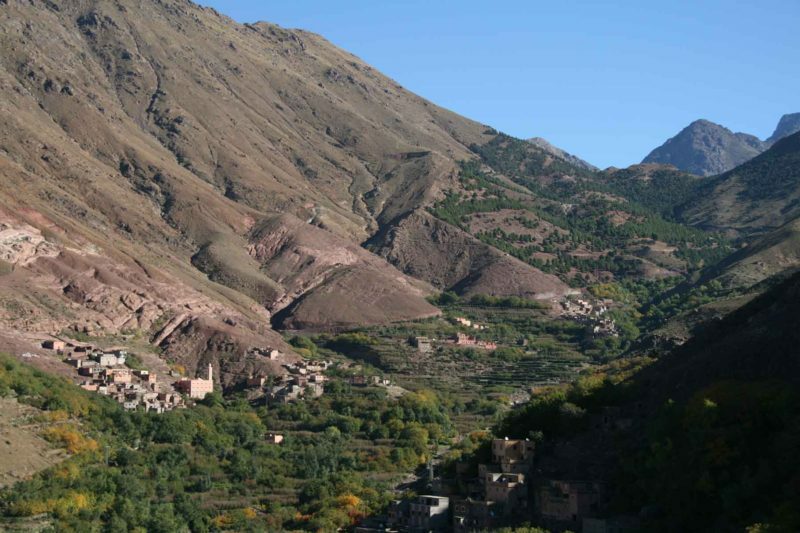 Today we cross the Imnane Valley, one of the most famous valleys in the Toubkal massive. We walk by Tizi ‘n Tamatert (2300m) and will end up in Imlil where you will spend the night. Approx 3 to 4 hours walking. Heading along the Mizane Valley , we first pass the village of Aremd and then onto the shrine of Sidi Chamarouch. We then continue east and by crossing the flood plains our route takes us along mule tracks and up into the high rocky cliffs above the valley. Crossing the river we eventually come to the pastoral shrine of Sidi Chamarouch, which attracts tourists and pilgrims. From here the trail continues to climb steadily, snaking and zigzagging its way up to the snowline and the Toukbal Refuge (3206m), our stop for the night. Approx 5 hours walking. 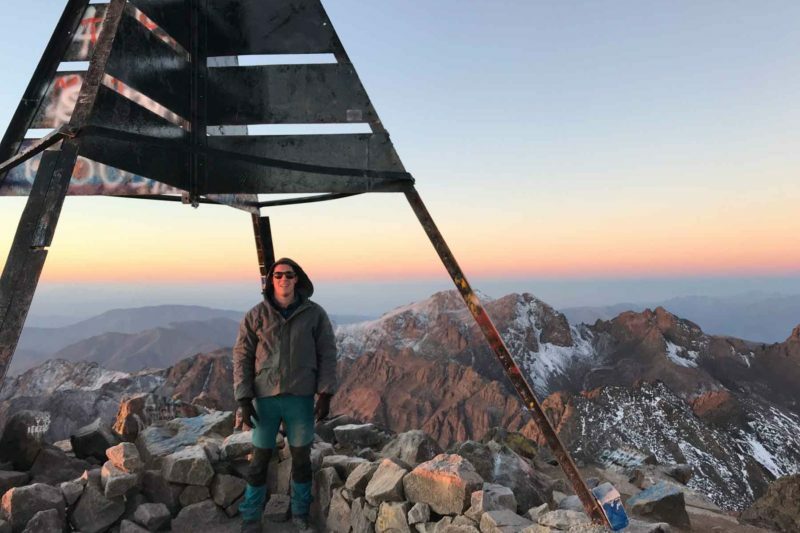 Early in the morning we make our attempt on the summit of Jebel Toukbal, the highest peak in Northern Africa . Our route takes us up the south cirque, crossing the stream above the refuge. The walking is relatively straightforward, but the scree and the altitude will make the going quite difficult in parts. The views along the way make the journey more than worthwhile. When you reach the the summit you will see that the vistas across the surrounding landscape are quite breathtaking. 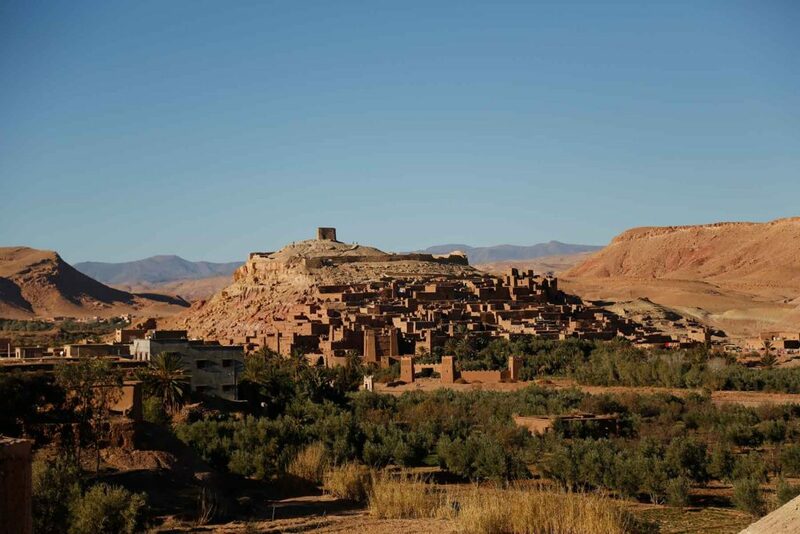 From here there are unrestricted views in every direction, from the Marrakesh Plain to the High Atlas in the north and as far south as the Anti-Atlas and the Sahara . We will retrace our steps when we return down the mountain and head back towards Imlil. Transfer to Marrakech. Approx 9 hours walking. 9 travellers are considering this tour right now!